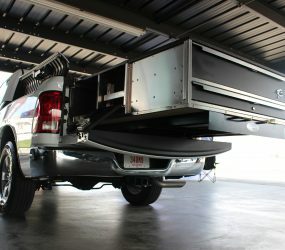 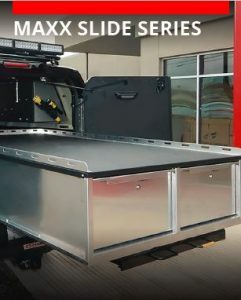 Introducing OPS Public Safety’s new MAXX Slide Series, designed for emergency service vehicles. 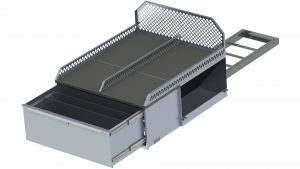 No more reaching in to access all your weapons and equipment. 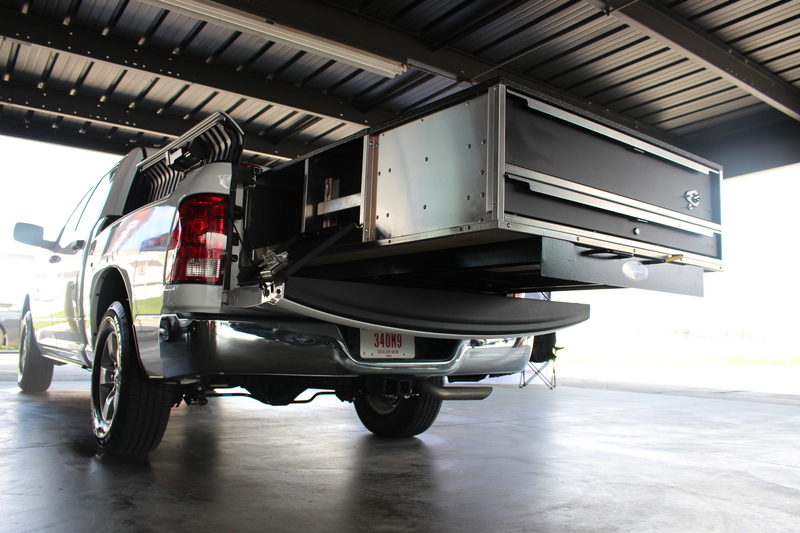 The MAXX Slide Series makes it easy to access 100% of your equipment from all sides. 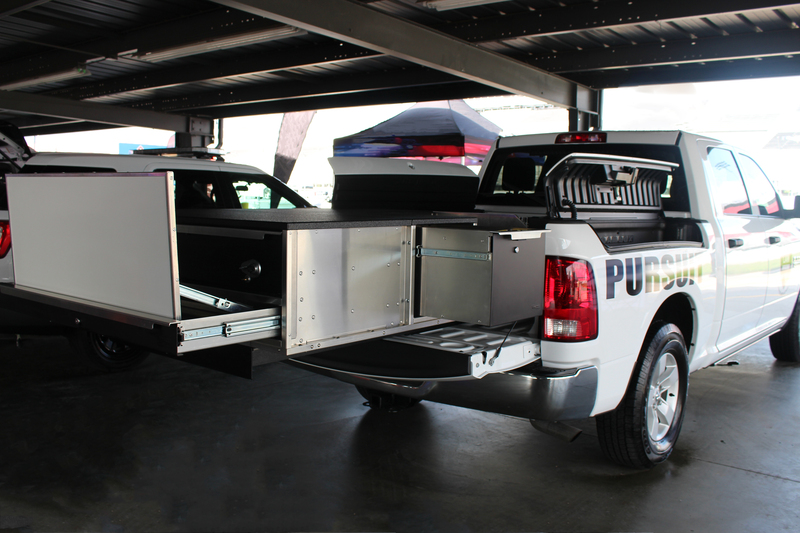 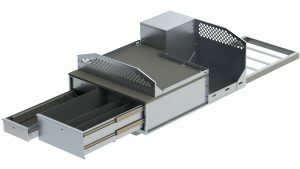 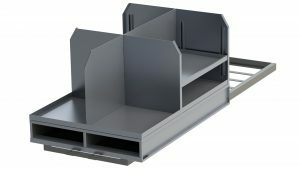 Choose from OPS Public Safety’s line of modular storage solutions, including drawers, cabinets, and shelving, to add to the MAXX Slide Series and create a system unique to you. 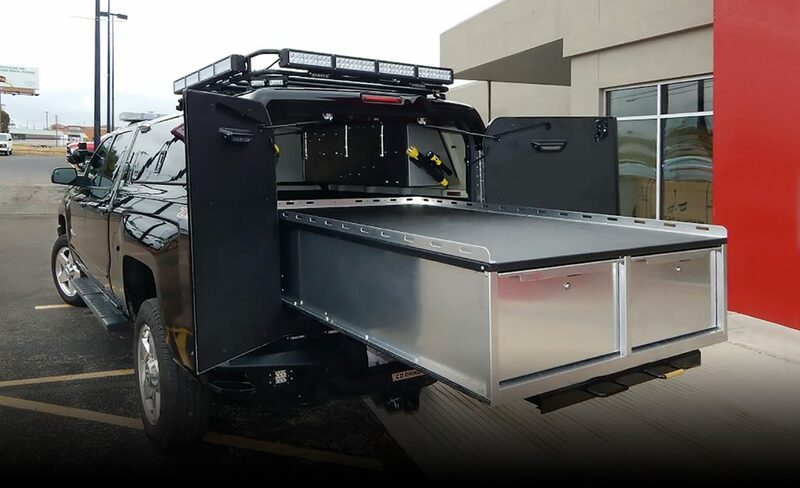 No need to reach in to access weapons and equipment; have instant access from all angles by simply extending the cargo bed to its full length. 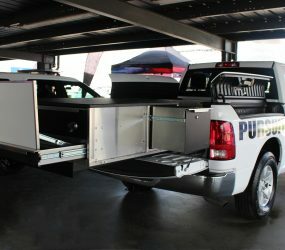 This unit includes a front whiteboard drawer to perform command tasks on-scene, a weapon drawer, an ammunition storage drawer, a filing drawer, two open rear compartments for robot storage, and space for additional SWAT gear. 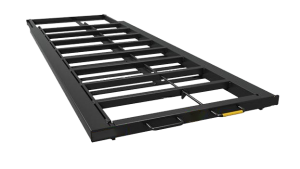 This solution was specifically designed to securely store explosives, flash bangs, breaching and forced-entry equipment, vests, armor plates, helmets and robot storage. 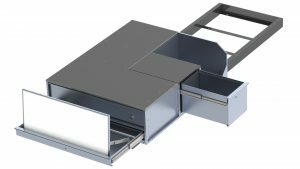 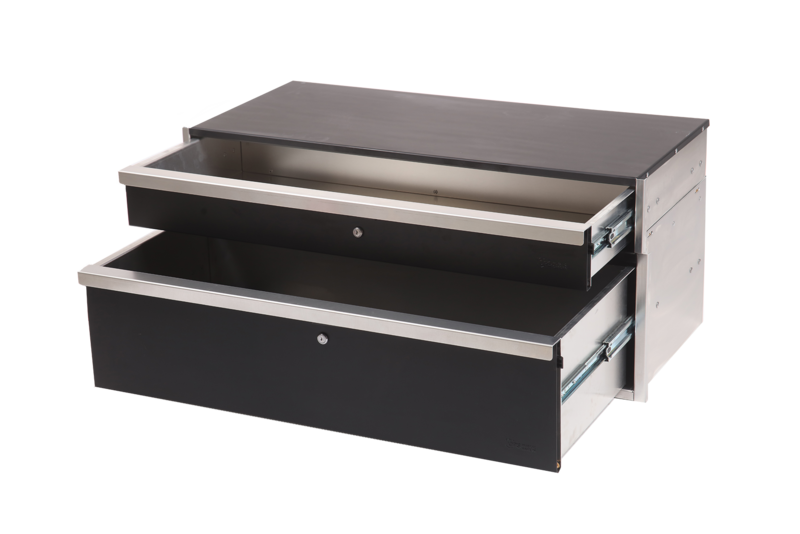 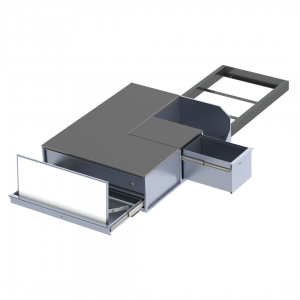 This unit safely secures four HAENNI scales, a top drawer to hold a creeper and inspection equipment, a middle drawer to hold small handheld tools, and two rear compartments with flip-up doors to hold larger items. 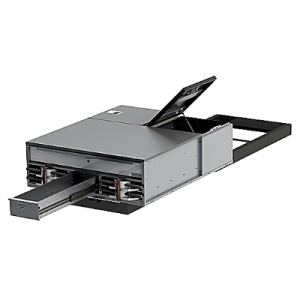 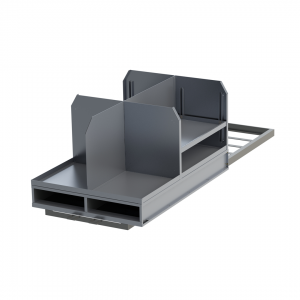 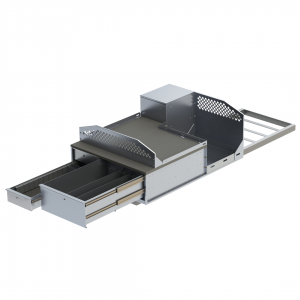 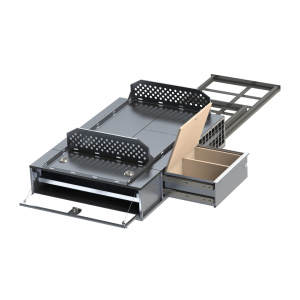 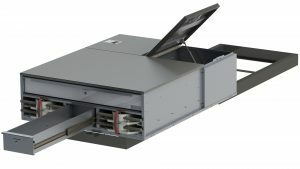 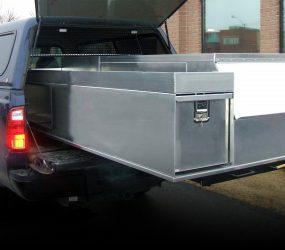 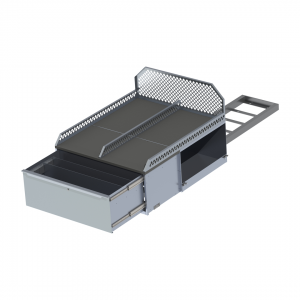 Designed to securely store vehicle accident reconstruction equipment and tools, this configuration includes a front drawer, two open compartments with fold-down lips, and cargo rails to tie down equipment on top of the unit. 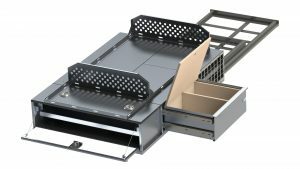 This solution includes two front compartments to store SCBA and extinguishers, two lower sectors to secure spinal boards, and adjustable shelving in the rear compartments to hold additional gear. 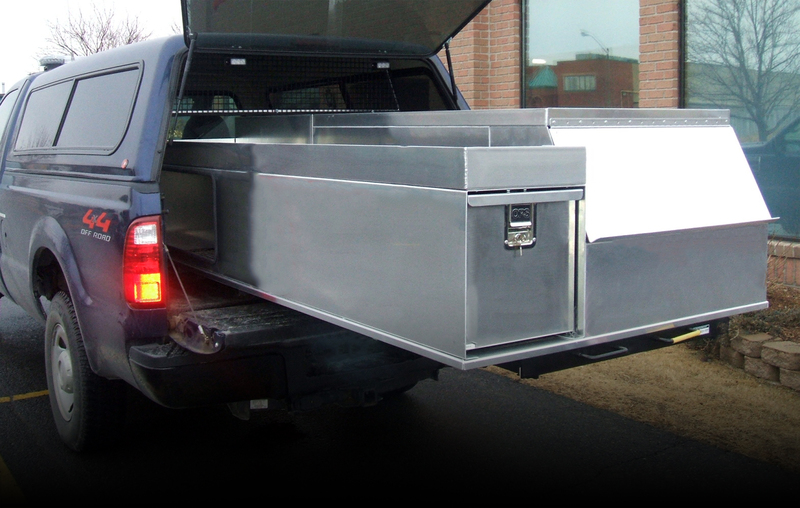 This unit safely secures weapons, vests, armor plates, and ammunition. 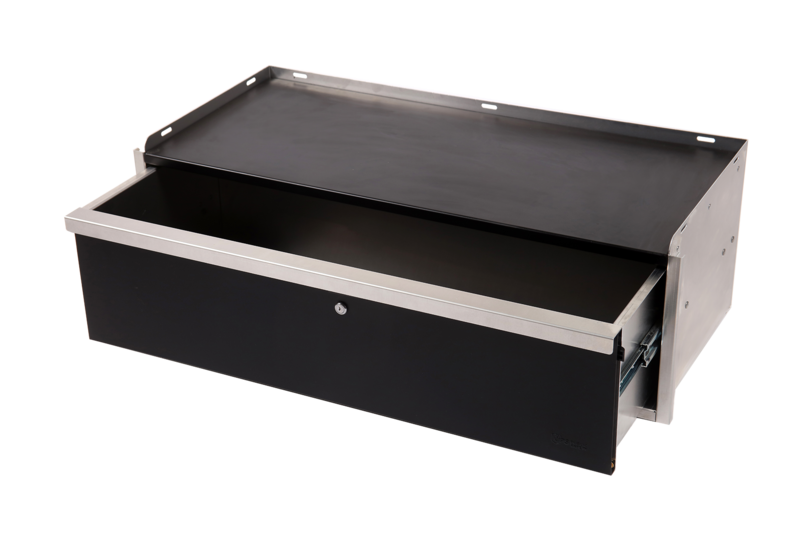 It includes an ATF Type 3 cabinet to secure explosives and breaching equipment, a robot compartment and a removable whiteboard for completing command tasks.